Fx level & CD input ? What is it's purpose? Thank you! So...just got my new code 25 the other day and bluetooth hooked up great....played a couple of days and no problems....Tonight..cant get it to hook up. Any ideas?...Can I ultimatley just hook up USB to my computer and adjust fromt there? Trying to find out when my Red series Marshall Super Lead serial # 08256H was manufactured. Hi there, currently using the marshall vba400 with the vbc412. Just purchased the DOD meatbox reissue and I was wondering what the frequency response is on the custom 12' speakers as I dont want to overload them with more low frequency than they can handle. P.s the cab is from 1999 if that helps at all. When I try to install the firmware software I get an error saying Cannot start application. Application cannot be started. Contact the application vendor. I am running windows 10. Any suggestions would be greatly appeaciated. Hello, I' m from Finland. Can you please tell me how many amps of these are made? White label in the chassis shows "DARKNESS" , proto 1 , Serial number and EXAMPLE # ? 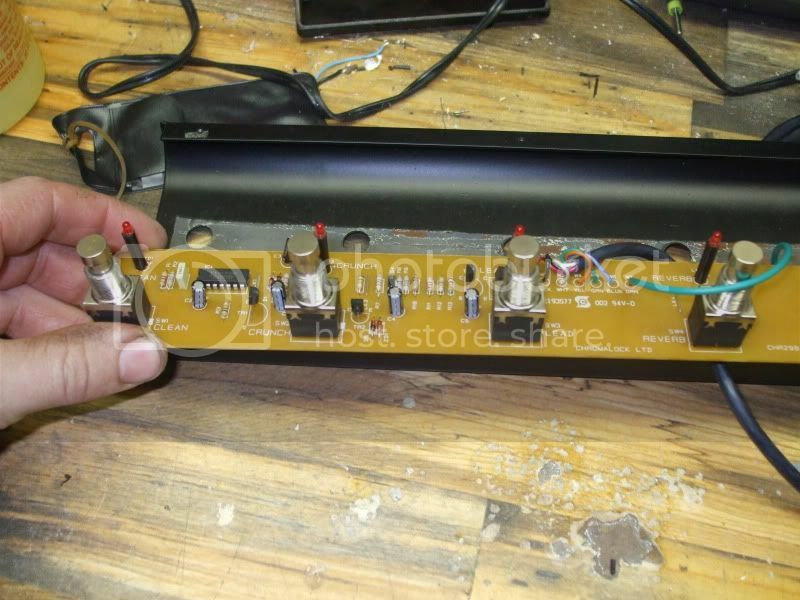 In the power amp eq (gain, bass, mid, treb) control knobs do not work. Only the volume knob works. On the pre amp section, all eq control knobs are working normally. While attempting to install the firmware update utility for my Code50, I continue to receive an error. Are there any current issues with the the utility? Perhaps the problem is on my end? Please advise. Thank you. HOW CAN I DOWNLOAD THE FULL USER MANUAL FOR THE AMP AND FOOTSWITCH? I just got a Marshall TSL 60 head and am having trouble with the footswitch. The Reverb and FX Loop are both latching switches and work fine. The Clean, Crunch and Lead switches are all momentary and there's some sort of digital logic switching going on on the board. The problem is with these switches. When I turn the amp on, the Clean switch LED comes on. When I hit the crunch or lead switch, nothing happens (No LED, no change from clean). I thought it was an issue with the switches, so I replaced them. Now Crunch and Lead still do nothing, but when I hold down the Clean it switches to Overdrive for as long as I am holding the switch. When I let go, it goes back to clean. Any plans to release a Windows desktop app for managing presets via USB connection? I'm not an Android or iPhone user. Editing via amp panel is ok, but somewhat tedious. Then, I turn off and on the unit and everything worked again with no problems. After this incident (some hours after), I reinstall the firmware and did a factory reset to the CODE. After that, the issue has not happended again. It really sounds as a software "bug". I am gently asking in order to see what to do. Should I return the amp to the store I got it and ask for a replacement? If the issue is software related, a replacement might not needed, since this may be fixed with a possible update...? Code 50 Lockup With No Sound When Saving Presets? This seems to be a common problem with the code 50 and even the code 25? When i had my code 50 it would lockup with no sound from the amp when i edited and then tried to save a preset,i would have to shut off and then reboot the amp for it to work again,this happened about 3 out of 5 times when i used the amp?Check out the user reviews on musicians friend for the code 50,three reviews mention the same problem that i had with my code 50. Marshall should look into this problem and try to fix it with a firmware update or find some other way to fix this problem?If marshall can fix it i would most likely buy this amp again. 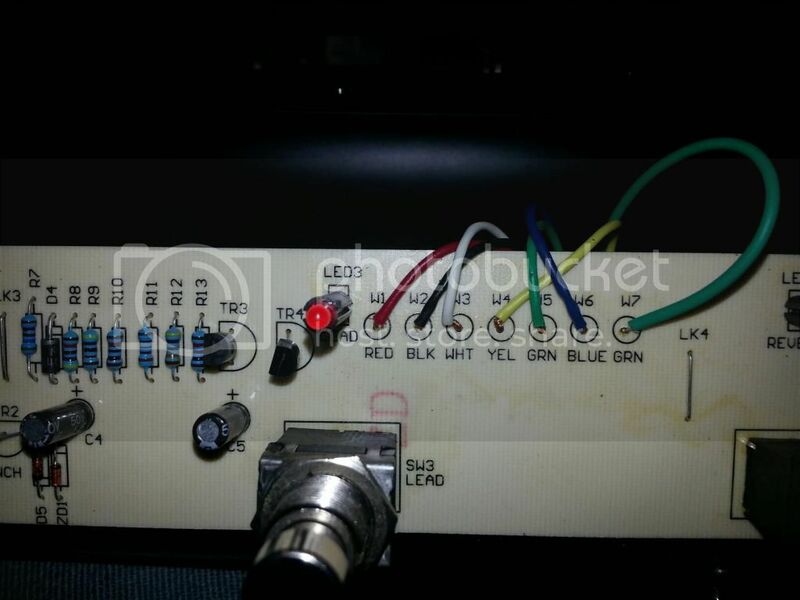 Hi, I have a JCM-800 all original and assume is 2013 made, the serial number is M-2013-05-0216-1, I like to know what brand and kind of transformer was installed in this specific amp, and if is able to support kt-88´s tubes? between ASTORIA Dual and 1959HW when those are fully cranked up? 1959HW is much heavy in gain when overdiven? Thank you. ASTORIA Dual head and matchinf 1x12 cabinet. However, in the Registration column,you have not provided the amp model yet. of the amplfier ASTORIA series and matching cabintes. please clarify. Marshall code 50 sounds muffled/muddy? I may be doing something wrong. However all the sittings ive tried all sounds muddy/ muffeled. I play alot of metal music and it just sounds a bit off. Could someone possinly help me? I was just wondering if anyone could please direct me to the tech specs for the Marshall 35th anniversary Bluesbreaker? I am having trouble finding the exact info. I purchased a Marshall Code 25 Watt amp today, and I am trying to connect it to my phone (Samsung s6 Edge+) via bluetooth, however, my phone will not discover it when scanning for available bluetooth devices. I have reset my phone and cycled the amp, and the problem persists. Are there any known issues with these devices or any workaround that I should look into?